R. Clifton Spargo knows how to find the un-findable. 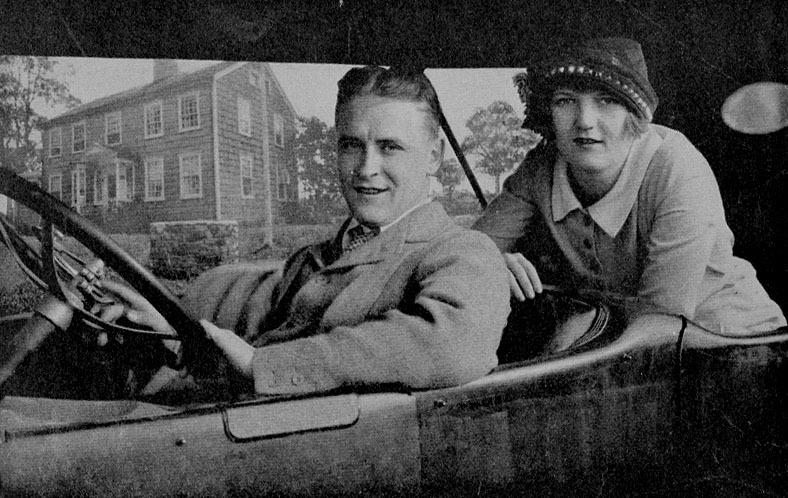 When confronted by the great absence in the late portion of doomed jazz age/literary power couple F. Scott and Zelda Fitzgerald’s mad and troubled romance—their undocumented trip to Cuba—he did what any debut novelist with enough gumption to change careers would do: he fabricated (and went to Cuba himself), with style and perceptive nuance. Beautiful Fools: The Last Affair of Zelda and Scott Fitzgerald (Overlook Press) takes the reader into the only place worth going for figures as well-known, over-analyzed, and over-determined as Z and S: into the great fictional unknown. In this interview, Spargo takes us through process and product, and goes “all in” on his passion for literature’s long-remembered-but never-quite-discovered couple. What, precisely, is so compelling about Gatsby and Scott/Zelda that we have another movie to go with the shelf of biographies? What makes these two into compelling figures for you, and also for the American high-school system that has kept Gatsby alive for so long (some might say on life support…)? Scott and Zelda were arguably American literature’s first celebrity couple. After all the glitz and glamor they ended tragically—Zelda breaking down in her late twenties, suffering from mental illness the rest of her life, while Scott fought off the demons of alcoholism, depression, and severe financial debt. We prefer to remember them as the glam couple of the roaring 20s. Scott and Zelda make media appearances to this day—a cameo there, in Woody Allen’s Midnight in Paris; a nod here, (a la Dylan’s greatest of rock ‘n’ roll nods to Fitzgerald in “Ballad of a Thin Man”) on the 2011 debut album of British indie sensation The Vaccines. I am glad you brought up Dylan. The line is: “You’ve been through all of F. Scott Fitzgerald’s books/ You’re very well read, it’s well known…” (Insert sounds of my worn-out Highway 61 Revisited cassette.) I’ve always taken this as a dig against the type of literary establishment represented by Fitzgerald, while at the same time the acknowledgment, perhaps, of Dylan’s own breaking away from his Midwestern roots. I don’t think it’s a flattering reference. Put another way, can Fitzgerald ever be more than a worn-out nostalgia trip? You’re right about the reference as not altogether flattering, but Dylan’s Mr. Jones is someone trying too hard to understand “what’s going on” and that’s why he’s reading the only newly canonical Fitzgerald. Mr. Jones’s version of hipness is forty-some-odd years too late—he just caught up with the Jazz Age. “Something is happening, but you don’t know what it is.” The reference to “F. Scott Fitzgerald’s books” is not a dig on Fitzgerald per se; it’s a dig on the way the cultural establishment is all about conformity of taste, never about the new and bizarre. Then also, far too much of the American fascination with the Fitzgeralds—as perpetuated by high schools across the country—has to do with our ambivalent national nostalgia for the 1920s. In that decade, the United States suddenly discovered itself as the preeminent world power and reveled recklessly in a prosperity and excess that came (on Black Tuesday of October 1929) crashing all at once to halt, giving way to the Great Depression. On some level, Americans continue to think they deserve the joys and excesses of the roaring 20s, while harboring a secret suspicion (proved once by the Great Depression) that we’ll be punished for our prosperity. Scott Fitzgerald is the author who both epitomizes and documents that reckless excess and guilt-ridden downfall. This is certainly a theme of Gatsby, and at least from my casual listening to the new soundtrack to Baz Luhrmann’s DiCaprio-version movie, still well embedded into the narrative. What I found compelling about the Fitzgeralds, though, was the under-told story of their lives in the 1930s, especially the untold story of their last chapter, a final trip they took together to Cuba in 1939. Almost nothing is known, as even a cursory glance at the many biographies about Scott and Zelda will testify, about that final trip. So in Beautiful Fools, I’m able to examine a historically significant couple through an altogether imaginative lens, taking my cues from the absences in their biographies, as we know them. Scott is living in Hollywood, writing for MGM, working his way out of debt, trying to stay sober, and launching the novel he will die working on. Zelda is in a sanitarium in Asheville, North Carolina, psychically and physically healthier than she’s been for some time. He flies east to take her to Cuba, as these two famous lovers take one last chance on each another, attempting to imagine a life they might forge together after Zelda’s release from her sanitarium. You are rightly drawn to lacunae here, as perhaps this is the only space in which to re-imagine, or re-affirmatively imagine, lives so over documented as to on some level become blandly mythopoetic. Are you attracted to this trip because it redefines Scott and Zelda, or because it barrel rolls them into the abyss? It is a historically informed story, and it’s even somewhat historically predetermined. After all, it’s Scott and Zelda: we know it doesn’t end well; it can’t end well. But for me, for how I see them in Beautiful Fools, the effort is all—the Fitzgeralds’ relentless, even self-deceptive striving for something better, for something normal and peaceful after the chaos of their still-young lives. I have to confess I was attracted to their bravery in the face of adversity. Or, at least that’s what I choose to interpret this last trip as a testimony to. Where to start? The intense friendship between Scott and Ernest in the mid 1920s, the gradual fracturing of that friendship? The triangle of Zelda, Scott, and Ernest, since it’s well-documented that Zelda found old Hem hard to take, and he dismissed her (at least in retrospect, in the highly unreliable, often mean-spirited, but nevertheless also-sometimes-moving portrait of his friendship with Scott in the posthumously published A Moveable Feast) as “crazy” and as wishing to ruin Scott? Or do you mean, hey, where’s Hemingway in Beautiful Fools? Does he make a cameo? The novel is set in Cuba in 1939, and we all know—sometimes even Cubans seem to think so—that Cuba is the imaginative property of the man they call Papa? I mean both. And neither. We find Scott in Beautiful Fools considering that he may run into Hemingway, who never appears, and therefore remains always present. It’s a great literary move. I just couldn’t resist the idea of Scott checking himself into the very hotel where he knew Ernest to stay when in Havana, longing for almost as much as he dreads the possibility of running into his old friend. In Beautiful Fools Scott writes Max Perkins before the trip for a recommendation of where to stay. Perkins, the editor Hemingway and Fitzgerald shared at Scribner’s, often played mediator between the alienated friends, tending to one wounded ego or another, passing on word to Ernest that Scott was asking after him or admiring some story or another, reassuring Scott that Ernest missed him and revered his talent. Perkins, therefore, put Scott into the Ambos Mundos hotel? Yes, or at least my fictional Perkins (who also sends a cable I enjoyed making up) does. But, with regard to the itinerary I contrive for Scott, I should mention one fun fact that increases the possibility he might have selected the Ambos Mundos even without, say, cabling for Perkins’s input. In the Fitzgerald papers at the Firestone Library at Princeton University, there’s a note to Scott from novelist and shared friend John Dos Passos written while visiting Hemingway a few years earlier—on stationery from the Hotel Ambos Mundos. Hemingway, Fitzgerald, and Dos Passos (my favorite of the three): imagine the triangle. That was one of the novel’s earliest-imagined scenes. And now I want to ask you, on record, about your move that, for me, is also always present. You were a tenured literature professor at Marquette University in Milwaukee, and you had an academic job craved by armies of non-tenured and adjunct faculty in a field whose hiring prospects are as dismal as Scott and Zelda’s long-term prospects, to say the least. You then gave it all up—you resigned!—to attend the Iowa Writers’ Workshop as an MFA student. Beautiful Fools is part of that happy outcome, of course, but take us a bit through this leap…like the Cuba trip…I can’t find it in your official biographies. I suppose your question could also be interpreted as, “Will that prove to be a beautifully foolish move?”—not to pun on my own title, but I just did. It’s not that I didn’t consider the risk involved. What I will say: it simply felt necessary to me. When you know what you’ve been trying to do for some time, where you want to get with your own writing, you have to be willing to take chances to get there. I’ve done that before, with good results, so I did it again. So, it was a gamble? In poker terms—I used to watch a lot of late-night TV poker, though I’m strictly literary when it comes to gambling — I’d say sometimes you have to go “all in” to get the results you want. I’d been publishing short stories with success in journals, won a few prizes—I’m especially grateful to journals such as Glimmer Train, FICTION, and Antioch Review, each of which published multiple stories from me. But I was more or less trying to teach myself how to manage and sustain long narratives, while also working as a research scholar in American literature, ethics, and Holocaust studies. I needed the time and context to make a breakthrough. I needed to include myself in conversations strictly concentrated on writing and craft. Okay, but did you resign without a plan for what would come next? I was fortunate enough to be offered an Iowa Arts Fellowship to the Writers’ Workshop, which is a great place on so many levels, a lot of history behind it, a great regular faculty—Ethan Canin, Lan Samantha Chang, Marilynne Robinson (I got to work with all three, with Ethan as my thesis director). But Iowa’s program also features a constantly rotating crop of visiting writers, and I worked especially closely with Charles D’Ambrosio and Andrew Sean Greer, two writers whose work I admire tremendously. As a bonus I took a course and formed a friendship with Pulitzer Prize-winning investigative journalist Stephen Berry, as I had begun to explore journalistic techniques of interviewing sources for stories and novels concentrated on more recent historical or social phenomena. In the simplest terms, the Writers’ Workshop was a gift of time and context. It put me in conversation with established and emerging writers, which is also a gift, since for the most part writing is extremely lonely work. The move felt necessary when I first made it, and even more so now. How did this lead to your Cuban trip? Right, I mentioned I’d visited Hemingway’s room in the Hotel Ambos Mundos, so I’ve already outed myself. For the record I went legally—just like Jay-Z and Beyoncé. I went on a humanitarian visa. I had come to a point in writing the novel during the spring of 2010 when I couldn’t, as it were, feel the ground beneath my feet. I’d visited Spain and other places in Latin America in the past, and I was reading travel books and reading novels about Cuba, reading Cuban writers from the time such as the wonderful Baroque surrealist Alejo Carpentier, also people like Graham Greene (Our Man in Havana)—but I longed for a sense of what it was like to walk the Malecón in Havana, one of the better consequences of the American occupation of Cuba in the early 1900s. Or, to stroll up Calle Obispo in the Old City to the world-famous La Floridita, another Hemingway hangout my Scott and Zelda get to visit in Beautiful Fools. So I procured a visa and plane tickets, made up a fake itinerary loosely based on a few clues in the biographies or sources gathered from other avenues of research—for example, I was able to establish the dates of the Fitzgeralds’ arrival and departure in Cuba by scouring old copies of the The Havana Post from April of 1939—and then lived a less riotous version of their last holiday. Unlike Scott, for example, I didn’t try to break up a cockfight during my sojourn in Cuba. A lot of the research time expended on Beautiful Fools was about getting Cuba right, about getting details from 1939 right, about making my character who is a refugee from the Spanish Civil War plausible and getting other cultural references from the time as close to the mark as possible. At times I was tempted to do too much with Cuba—after all it’s such a fascinating moment in the relations between the two countries, the late 1930s, with Americans popping over by plane or ferry (you could take your car with you) for weekends in Havana. I had to remind myself that Zelda and Scott were tourists in the strictest sense, in the country for a mere eight days, knowing next to nothing about it. Though the historian or scholar in me worked in disguise to take measure of Cuba, I had to remind myself as novelist that most of what we’ll learn about Cuba in Beautiful Fools is only what my Scott and Zelda will have noticed. This suggests your earlier point about this hole in the Fitzgerald history, as the occasion for the novel. How might we begin to imagine lives that seem already too well imagined, and too well worn? Every novelist, I think, ends up learning far more about his characters and the world they inhabit than can ever be put on display in the novel itself. Still, that excess of knowledge revealed only in glimpses is why novels feel more like real life than, say, biographies. Lived experience is also about what we miss in the day to day. 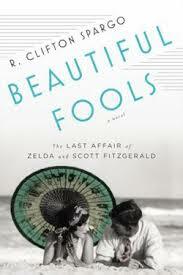 If Beautiful Fools is successful as a novel, it takes its inspiration from what wasn’t on record about the Fitzgeralds. And once Zelda and Scott were off the historical grid—where the biographers couldn’t track them—I could reinvent them as they might have wished to be on this last holiday, I could allow them one last attempt at reinventing themselves. And much as Cuba must remain largely mysterious to them, so too their own lives, even the twenty-year past they shared, must remain at times mysterious to them, at times completely mystifying. None of us really lives a life that looks anything like the famous lives reconstructed for us by biographers. So much of everyday life goes missing. Maybe only novels can remind us what it’s like to experience our lives as they start to go missing from history, even from our own memories. Only novels remind us how many of our deepest passions, how many of our most volatile experiences, elude the sensors of historians and biographers in their role as memory police. My Scott and Zelda get to come together briefly one last time in Beautiful Fools. Maybe the prospect of reunion teased them on this trip, maybe it didn’t. But, as their late love letters suggest, there was always something like possibility between them, even when they remained most apart. R. Clifton Spargo, author of the new novel Beautiful Fools, The Last Affair of Zelda and Scott Fitzgerald, writes “The HI/LO” blog, on the interplay between high and low culture, for The Huffington Post (www.huffingtonpost.com/r-clifton-spargo/). A graduate of the Iowa Writers’ Workshop and of the doctoral program in literature at Yale University, he is a past winner of Glimmer Train’s Award for New Writers as well as their Fiction Open Contest. His stories have appeared in or been featured by Kenyon Review, Antioch Review, Glimmer Train, FICTION, Chicago’s “Stories on Stage,” and elsewhere. He has published essays on literature, pop culture, and rock music in Commonweal, The Yale Review, The Chicago Tribune, The Baltimore Sun, Raritan, The Cambridge Companion to Bob Dylan, Glo, and Newcity. Spargo created and regularly teaches the testimonial writing workshop “The Stories We Tell” for the Chicago-based, international non-profit The Voices and Faces Project, and he has taught creative writing at Yale University and Marquette University. For 2013-14 he is the Provost’s Fellow in Fiction at the University of Iowa. For more, please visit www.beautifulfoolsthenovel.com.